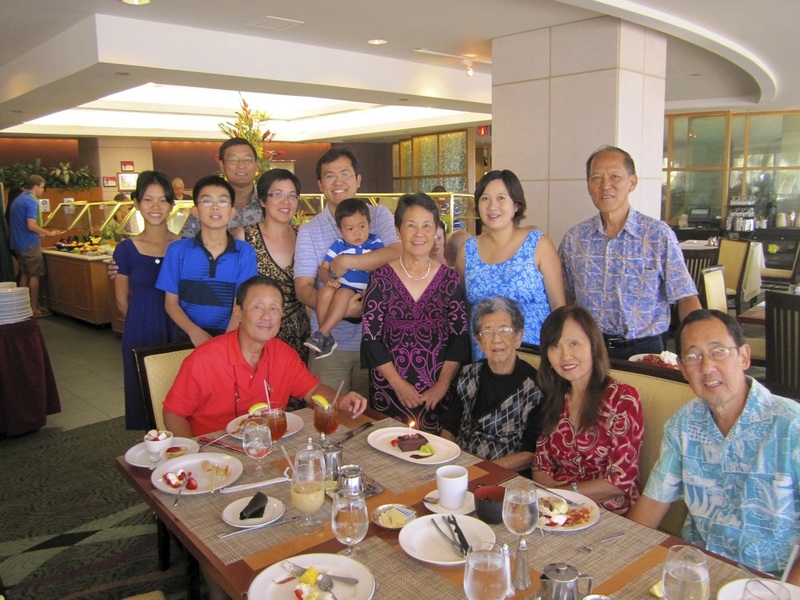 Mom's 96th birthday celebration was held at the Prince Hotel on Sunday, October 7, 2012. October 7, 2012 marks our third anniversary of our website. We are very proud that our website has grown to be a comprehensive site for learning Yang Style Tai Chi. We continue to keep up with the latest in technology to build a website that is user friendly, interesting, and unique. This year is special not only because we have increased our student enrollment, but we have added another class held in the evening. Our original program offered at Kapaolono Park in 2008 began with just two morning classes. Today, we offer not only a total of four classes, but, classes of various levels of proficiency. We are ever so proud of our active charter members who are great role models. Our mission to teach and share our knowledge of Tai Chi continues as we reach out to as many as we can. as she turns 96 years old!! as we continue our journey in learning the art of Tai Chi.